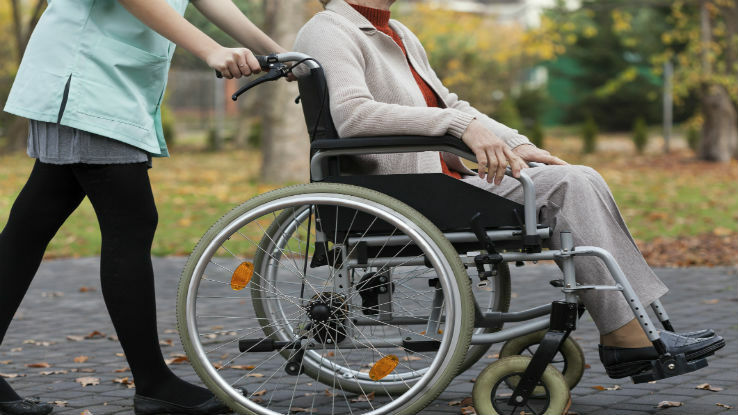 Most disabilities are not caused by accidents but by back injuries, cancer, heart disease and other illnesses. May is Disability Insurance Awareness Month (DIAM), which presents a great opportunity to speak with your clients about their disability income insurance needs. None of us plan on becoming disabled, but the reality is that nearly one in four Americans will become disabled before they retire. Most disabilities are not caused by accidents but by back injuries, cancer, heart disease and other illnesses. And that’s precisely why individual disability insurance is an integral part of a comprehensive financial safety net, especially for people who are in their peak earning years and who might not be able to afford the financial impact of a serious disability. I’m too young to worry about disability income insurance. Most people understand the need for life insurance. Yet, the truth is, a long-term disability can be just as financially devastating to a household as a death. After all, income is the foundation to the lifestyle you’ve created. If that income abruptly stopped, how would you maintain your household, cover expenses or continue to plan for your future? Could your savings alone sustain your family for a period of months, or even years? I have group coverage through my employer, I don’t need individual coverage. Benefit caps put in place for the entire group often leave high-earning employees with the least amount of income protection. Coverage is generally basic and cannot be personalized to your individual needs because it is not individually-owned. You cannot take it with you when you change employers. Group coverage can be changed or cancelled at any time by your employer or by the insurance provider. When premiums are employer-paid, net benefits are reduced due to taxation, minimizing income replacement. Group plans generally do not cover bonus compensation or retirement plan contributions. I’ll get disability insurance in a few years. I’m in perfect health right now. No matter how young and healthy you are, you’re still vulnerable to disability — whether through an accidental injury or an unexpected illness. Once you’re unable to work, it’s usually too late to get the protection you need. Won’t Social Security cover me if I’m disabled? Social Security provides a modest benefit to disabled workers, but getting approval for coverage isn’t easy. According to the Council for Disability Awareness, only 33 percent of those workers who applied for SSDI benefits in 2013 were approved; the lowest ratio since 1982[i]. In addition, you can’t collect Social Security disability benefits until the end of your fifth full month of disability – and only then if you are expected to be out of work for 12 months or longer. Personal DI coverage can help to tide you over financially should you become disabled for a long period of time. Why should I pay all that money for something I’ll never use? Disabilities can and do happen. In 2014, Guardian paid more than $294.1 million in disability income benefits. Accidents are not usually the culprit. Back injuries, cancer, heart disease and other illnesses cause the majority of long-term absences from work. If you become too sick or injured to work, will you be ready? Considering the average long-term disability claim duration is 2 ½ years, your ability to maintain the life you created will likely be at risk.